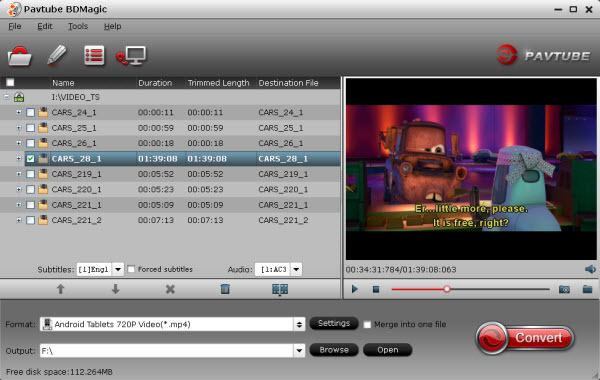 Are you looking for Blu-ray Ripping software? Wanna pick up a Blu-ray Ripper and not knowing which one to choose? This article covers the best Blu-ray rippers on market and compare them side-by-side with reviews as well for your reference. The good: When it comes to decrypting/hacking Blu-ray discs and DVDs, DVDfab is about as good as it gets. DVDfab Blu-ray Ripper well deserves its high reputation in decryption, and it handles not only AACS, BD+, Region code restriction, but also Cinavia protected Blu-rays. By taking advantage of CUDA accelerating, the conversion time is greatly shorted. If you want to rip a Blu-ray to MKV and keep 2 audio language and external subtitles, DVDfab would be your choice. The bad: It is lacking of DVD ripping feature. It does not support AMD APP encoding. The interface is not very intuitive. And DVDfab Blu-ray Ripper costs more than its alternatives. The bottom line: DVDfab Blu-ray Ripper decrypts and rips Blu-ray title to various video files playable on next generation consoles like PS3 and Xbox 360, HD player like WD TV Live, or mobile devices like iPod, iPhone, iPad, etc. Editors’ note: DVDfab has a comprehensive forum where you can communicate with other users and get helpful advices. There’s not support email but you can submit your problem to DVDfab. The good: Leawo Blu-ray Ripper comes with the popular feature to convert 2D to 3D for users to enjoy the popular 3D effect and exports various HD and popular common video formats (M2TS, AVI, MP4, WMV, FLV, MPEG, MOV, MKV, RMVB, etc). Leawo Blu-ray Ripper has stunning trim and crop feature- it trims movie more accurate and crops video more considerate than its competitors. It can load multiple Blu-ray and DVD movies at a time. If you have tons of movies waiting to rip and feel like having a Blu-ray Ripper queue them several movies for running overnight, Leawo is recommended. The bad: Not recognizing Blu-ray ISO or forced subtitle (if there is). GPU encoding is restricted to Nvidia’s CUDA only. There’s no backup option for keeping original movie quality. The bottom line: Leawo Blu-ray Ripper is a nice tool for DVD and Blu-ray ripping. There may be some improvements for Leawo to make but it already performs well enough for average users to convert/put Blu-ray and DVD movies to iPad, iPhone, Apple TV, Wii, etc. Editors’ note: We noticed that audio quality is noticeably degraded when ripping Blu-ray with Leawo Blu-ray Ripper. The good: By taking advantage of AMD APP, Intel? Quick Sync Video and NVIDIA? CUDA? 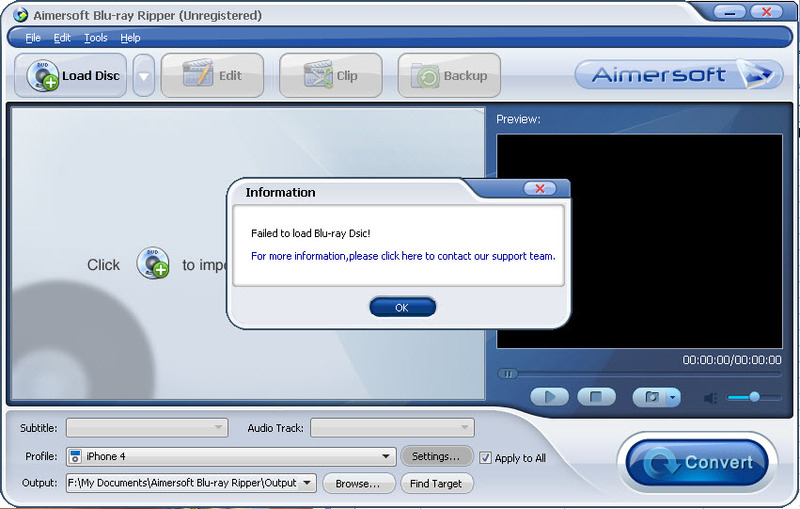 technology, Aimersoft Blu-ray ripper converts movies faster and saves your time. It rips Blu-ray/DVD into almost all popular video formats (MP4, AVI, MOV, etc) and features versatile format templates for smartphones, game consoles and MP3 players. 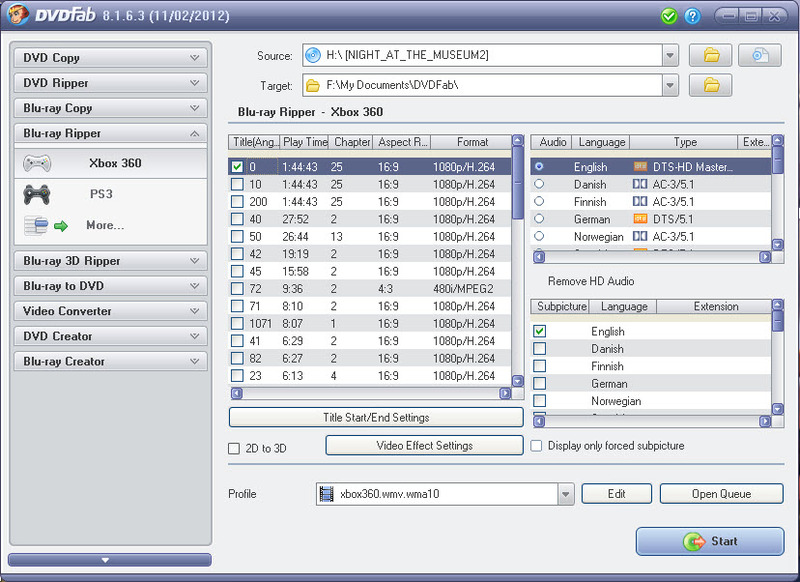 Its “Backup” function let users envelop a whole Blu-ray movie into a MKV/DVD into VOB without quality loss. If you’re looking for a way putting movies onto a HTC, Samsung, LG, Sony, or Motorola smartphone, the Aimersoft Blu-ray Ripper is worth checking out. The bad: It does not support Blu-ray ISO or BDMV structure. There’s no option for preserving only forced subtitles. Most Blu-ray Discs are not loading to the software. The bottom line: Aimersoft Blu-ray Ripper handles DVD ripping as good as any other rippers, but the company really needs to work hard and step forward in Blu-ray Disc cracking. Other than that, Aimersoft Blu-ray Ripper is impressively fast and helpful. Editors’ note: It seems that Aimersoft does not handle Blu-ray AACS and BD+ encryption properly and the software keeps popping up a message that we should contact customer support during our testing- the customer support staff offers but apologize though. This entry was posted in Reviews and tagged 2014 best blu-ray ripper review, best blu-ray ripper, best software to rip blu-ray, blu-ray comparison review, top blu-ray ripper 2014 by vina. Bookmark the permalink. hello!,I really like your writing so so much! I need an expert in this space to unravel my problem. May be that is you! Oh my goodness! Impressive article dude! Thank you so much. Pavtube BDMagic would be the best choice. It works great for both blu ray DVD movies and general DVD movies. Also it supports converting Blu-ray to HD formats, such as HD AVI, HD MPEG, HD MOV, AVC, HD WMV, etc.. I am so happy to own a piece of it!